Vancouver psych-metal warriors Black Mountain are returning this spring with Destroyer, their first album in three years. Lead single “Future Shade” demonstrated that the band has lost none of the power that made 2016’s IV such a joyride. In fact, Black Mountain’s joyride quotient has only gone up since frontman Stephen McBean wrote this album after finally getting his driver’s license and discovering the power of rocking out behind the wheel. Destroyer’s second single is out today. 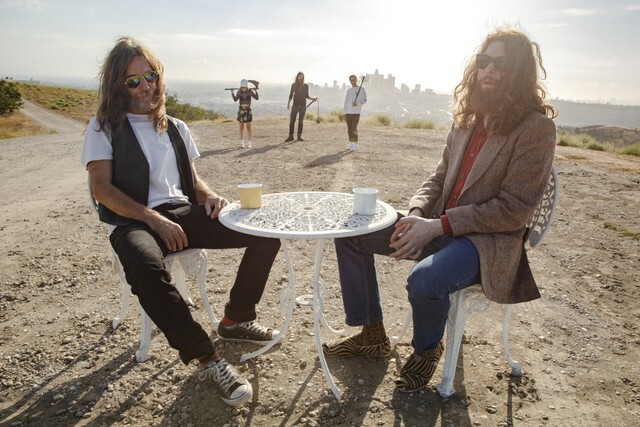 It’s called “Boogie Lover.” Unlike their colleagues in the prolific Australian outfit King Gizzard & The Lizard Wizard, Black Mountain’s song about boogie does not actually boogie. It’s a spacey, doomy slow creep on which the band sounds as towering and geological as their band name suggests. Slaying hearts with riffs in search of Geezer wood. This one went into the oven twice as it needed an extra topping. Space doom for lovers. Kliph Scurlock [Flaming Lips] pulled some Kiss outta his cape and Randy Holden came knocking on the front door holding a bridge! Rachel Fannan [Sleepy Sun] baked a cake while Jeremy Schmidt & Tom G. Warrior spaced out on some classic Isaac Hayes. Slow burn in a creaky world. Destroyer is out 5/24 on Jagjaguwar. Pre-order it here.